It seems McQueen covers are all the rage these days. 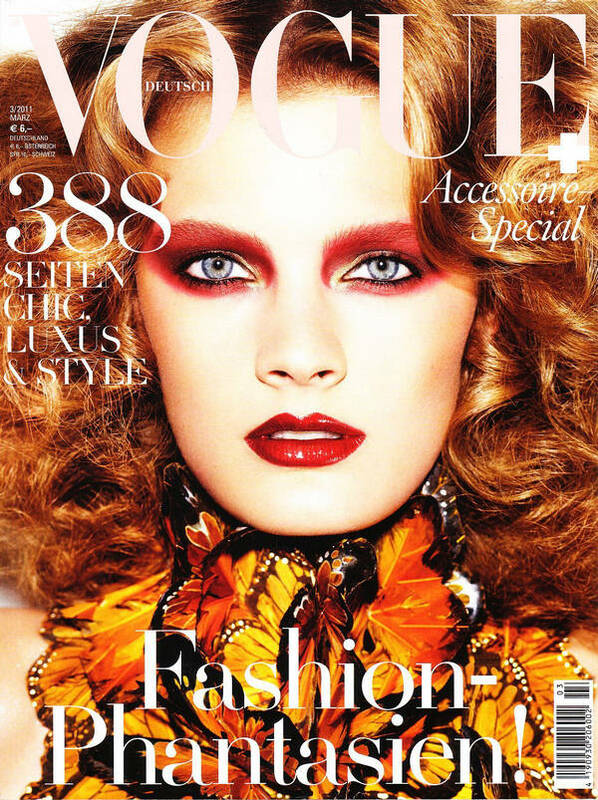 The Vogue Germany March issue also features Sarah Burton’s butterfly dress from the SS11 collection. Constance Jablonski photographed by Alexi Lubomirski for Vogue Germany. Alexi Lubomirski’s photographs in the full editorial actually feature Constance Jablonski in designs by a slew of designers in rich, glorious colour – a requirement this Spring. The vivid hues remind me of Gucci’s Midnight Ladies for FW11. Start living life in Pantone, my dears.